Raising awareness and demonstrating that amateur riders with diabetes can take part in any sporting challenge, the squad is made up of riders representing the Diabetes Online Community (#doc). “We have riders from all over the world sharing a common goal: to demonstrate that anyone living with the chronic, lifelong condition that is diabetes can achieve their sporting and exercise goals” said Paul Buchanan, TeamBG Founder & CEO. 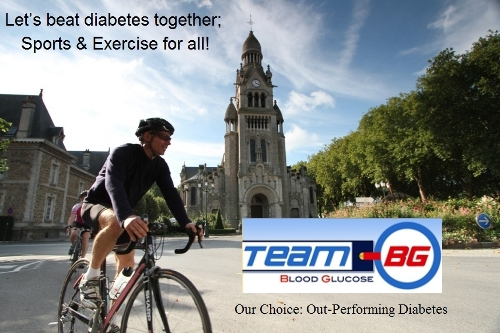 “By joining forces with TeamBG on the mHealth Grand Tour, we want to help educate, empower and inspire people living with diabetes. For people with diabetes TORQ’s energy products are the perfect solution for sustained performance”, added Matt Hart, Managing Director of TORQ. Worldwide there are 371 million people with diabetes. In Europe alone, 55 million people live with diabetes – that is 8.5% of Europe’s adult population. Modern lifestyles, eating habits and lack of physical activity are important risk factors for developing diabetes. 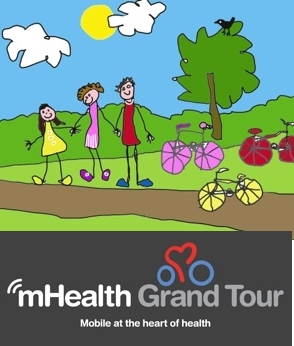 Through their partnership on the mHealth Grand Tour, IDF Europe and TeamBG will raise awareness on the benefits of sports and physical activity not only for diabetes prevention, but also as an essential tool in the self-management and therapy of diabetes. TeamBG is a not for profit social enterprise. Their vision is for a world where people do not die from diabetes and their mission is to provide the tools, training and opportunity for all people with diabetes and all those prone to diabetes to engage in sports and exercise. Through training and education they will address the global rise in childhood obesity and the increase in Type 2 Diabetes in the young and young adults. TORQ have committed from this point onwards to help raise awareness about Diabetes and educate our customers, whether diabetic or otherwise on the role that exercise and physical training has to play in the management of Type 1 Diabetes and prevention of Type 2 Diabetes. It is also crystal clear from our discussions with Paul at TeamBG that Type 1 Diabetics can benefit hugely from the use of TORQ products in conjunction with regular exercise – in fact they are essential. We will update you with some very interesting articles on the subject in the near future.